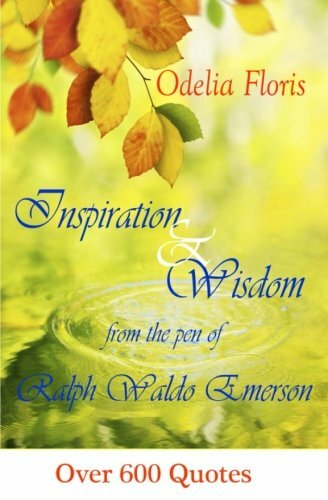 Ralph Waldo Emerson (May 25, 1803 – April 27, 1882) was an American essayist, lecturer, and poet, who was a leading figure of the Transcendentalist movement of the mid-19th century. He was seen as a champion of individualism, liberty and freedom of thought. He was a prolific essayist and speaker, giving over 1,500 public lectures in the US. Nicknamed the Sage of Concord—he became the leading intellectual figure of the United States. 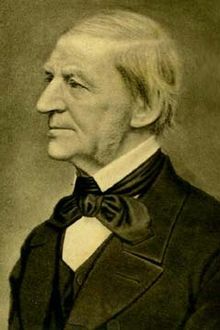 Ralph Waldo Emerson was born in Boston in 1803, the son of a Unitarian Minister. His father died when he was young (8 years old) and he had to support his education through doing part time jobs. In October 1817, he went to Harvard, where he served as class poet, but he didn’t stand out as a student graduating in the middle of his class. After graduation, he went to Florida, seeking warmer climates for his delicate health. Emerson worked as a schoolmaster and later as a pastor in Boston’s Second Church. However, he gradually moved away from the religious and social beliefs of his contemporaries, formulating and expressing the philosophy of Transcendentalism in his 1836 essay, Nature. Following this ground-breaking work, he gave a speech entitled ‘The American Scholar’ in 1837, which Oliver Wendell Holmes, Sr. considered to be America’s “Intellectual Declaration of Independence”. When he was just 18, Emerson married Ellen Louisa Tucker, but she tragically died just two years later – an event which shook the young Emerson. Around this time, he became more uncertain over the religious beliefs of the church he worked as a pastor. He was unsatisfied with the Communion and the method of worship. To Emerson, it seemed too dry. Several years later in 1838, he was invited to Harvard Divinity School, where he gave a famous address claiming that early Christianity had ‘deified’ Christ and as a result, he discounted the miracles in the Bible (a similar approach to the Jefferson Bible). This radical approach was heavily criticised by members of the establishment. Emerson wrote most of his important essays as lectures first, then revised them for print. 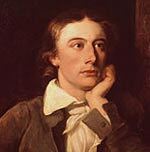 His first two collections of essays – ‘Essays: First Series’ and ‘Essays: Second Series’, published respectively in 1841 and 1844 – represent the core of his thinking, and include such well-known essays as ‘Self-Reliance’, ‘The Over-Soul’, ‘Circles’, ‘The Poet and Experience’. 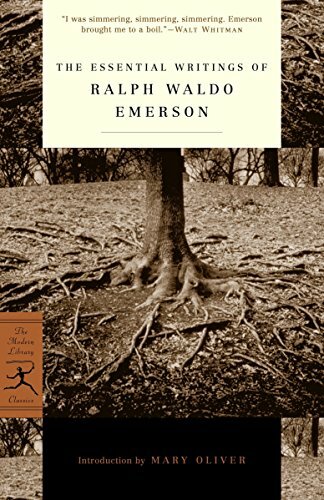 Together with Nature, these essays made the decade from the mid-1830s to the mid-1840s Emerson’s most fertile period. Emerson also was instrumental in encouraging other American writers. Walt Whitman sent his innovative poetry “Leaves of Grass” to Emerson. Emerson wrote a glowing five-page review – and this was influential in helping Whitman’s career. He was also very close to Henry David Thoreau – he considered Thoreau to be his best-friend. Emerson was an influential figure in the movement of Transcendentalism. Evolving out of European Romanticism, it was a philosophy which developed its own outlook, which combined both mysticism with a belief in rationality and scientific outlook. Emerson was firmly against slavery. After 1844, despite disliking being in the public limelight, he became more involved in the anti-slavery movement. In 1859, he gave a speech praising the fiery abolitionist John Brown. He supported Lincoln in the 1860 election and expressed disappointment when the civil war seemed to be about preserving the union rather than the abolition of slavery. However, on meeting Lincoln in 1862, Emerson warmed to Lincoln and after his assassination, Emerson gave a warm tribute to his beloved President. Towards the end of his life, his memory began to fail him, and he retreated from public life, concentrating on writing poetry. In April 1882, Emerson was found to be suffering from pneumonia, and he died shortly after. Citation: Pettinger, Tejvan. “Biography of Ralph Waldo Emerson“, Oxford, UK. www.biographyonline.net, Published 22nd Jan. 2010. Last updated 12 February 2018. Individuality and the importance of individual freedom. The unending capacity of the human spirit and human nature. A willingness to speak your mind whatever the consequences. The presence of God in all, and the ability of Nature to reveal God. Emerson was influenced by Indian religious thought such as the Bhagavad Gita and the Vedas, expressing a belief in non-dualism. Emerson was one of the key figures of Modern American literature. 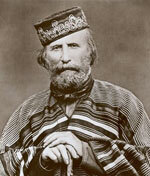 He inspired and encouraged other writers such as Walt Whitman and Henry David Thoreau.